The all-time favorite pick-me-up dessert is one of our best sellers. We bake these little pieces of heaven with love and passion. Chewy and moist just the way heaven should be. A rich chocolate layer topped with chopped roasted almonds over a crumbly shortbread. Best eaten over tea or coffee. A batch is sold at Php180 for 24 pieces. I never believe in healthy snacks til I met this baby. A fudgy oatmeal bar packed with the finest Australian rolled oats. One bar is enough for the day or you can just try to resist the urge to grab some more. A box measures 11.5x7.5. Php200 for 24 pieces. This has always been a staple for every celebration and never complete without one. Our cakes are made with the finest ingredients in the market to satisfy your saccharine cravings. Cakes can be filled with your favorite filling, written with love notes and even given as a gift. Best kept chilled. Prices range from Php380-Php800 depending on clients preference. These little devils can definitely brighten up everyone’s mood. A wonderful surprise from the usual sweets you get from the market. Small pieces of swoon worthy cakes can be very deadly, you might ask for more. Better than S3x Cupcakes – chocolate after chocolate after chocolate, yes a triple whammy. Red Velvet Cupcakes – a classic take on the classic flavor. Devil's Cupcakes – moist little devil’s on a cup. Chocochip Cupcakes – chocochip-holic’s kryptonite. Fairy Cupcakes – vanilla infused cupcakes in its simplest form. Prices: Php150 for 6 cupcakes. Php 180 for 6 cupcakes with frosting and filling. Toppings and filling per clients specifications. Free delivery within Cebu City. Minimum of 2 boxes for brownies, revel bars and toffee bars. Meet-ups in Ayala, SM or I.T Park. Cash on delivery. 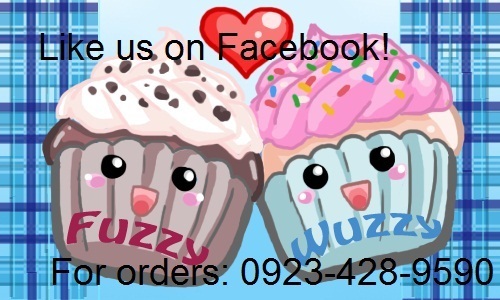 For other orders, contact us: 0923-428-9590 or send an e-mail at zhequia@gmail.com we would love to hear from you. Do u still accept orders..?